The LS45 log splitter is the entry level model with a powerful punch. The 1500w electric motor provides up to 4 tonnes of splitting force, more than enough to handle most domestic wood splitting tasks. The extra long frame allows logs up to 520mm (20″) to be split in seconds – simply depress the two control switches and the reinforced pushblock drives the log into the fixed splitting wedge, slicing it neatly in two. It’s compact dimensions make the LS45 ideal where storage or transport space is at a premium, and is easily moved around the garden thanks to it’s two large transport wheels. 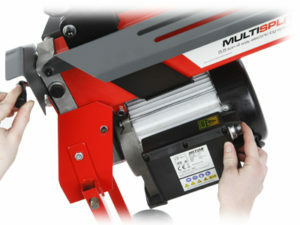 The two handed operation of the Mitox LS45 electric log splitter prevents the possibility of the operator’s hands being at risk of injury . 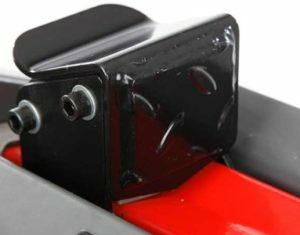 When one of the switches are released, the pushblock returns to the starting position. 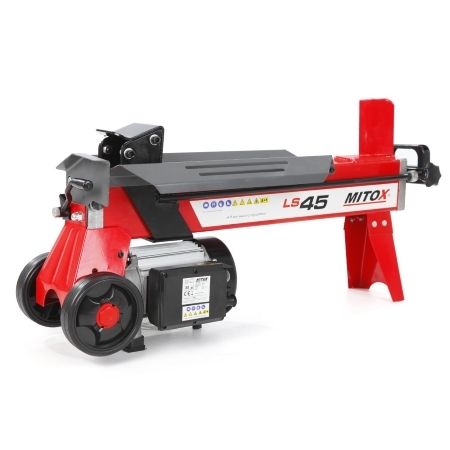 The Mitox LS45 wood splitter can split logs up to 52cm in length, however, when splitting shorter logs, Quicksplit saves time by enabling the starting position to be adjusted. 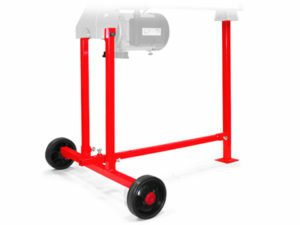 An optional log splitter stand is available to raise the splitter to a more comfortable working position. 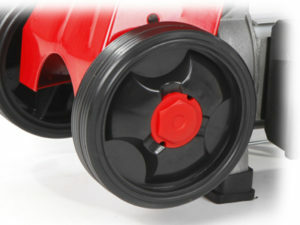 The transport wheels fitted to the stand make the splitter easy to move. The reinforced pushblock ensures reliable and durable splitting force, even when splitting tough or knotted wood. Large transport wheels allow the log splitter to be comfortably moved to the woodpile. This will save time especially when there are a large quantity of logs to be split. 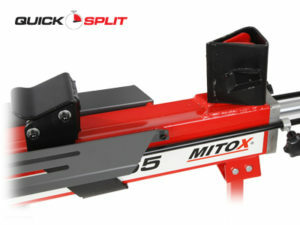 Mitox log splitters in the SELECT range feature a comprehensive 3 year domestic warranty with a nationwide network of service dealers all with access to next day spare parts support. 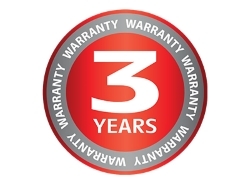 Click here for warranty information. This entry was posted in Garden Featured, Garden Machinery, Machinery Featured, Special Offers & Featured Products and tagged garden, Garden Machinery, Log splitter, Mitox LS45 log splitter.